We Have a NEW Disaster Trailer! 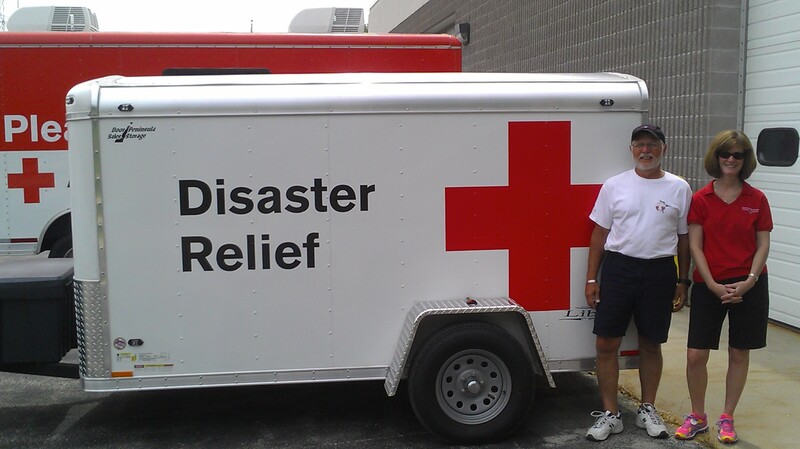 (l-r) Ron Maloney and Nancy Mirhashemi, Disaster Volunteers in front of the new trailer. We get excited about our new “toys” that help us better respond and quicken our response time in the community. Special thank you to the Green Bay Packers Foundation and Ron & Pam Maloney for their efforts in securing the funding and outfitting of our new disaster trailer in Sturgeon Bay. We also want to thank Ken and Jean Hill. They have donated space at an enclosed storage building in Sturgeon Bay for the trailer to be located. This trailer has equipment and supplies in it to staff a 50 person shelter. By having a trailer loaded with supplies we can just hook up, and GO!